Another day, another new monthly “curated” subscription box. That’s what I used to say, at least, about the seemingly never-ending trend of new services with the same premise. But when it comes to hair, it’s a whole ‘nother monster. 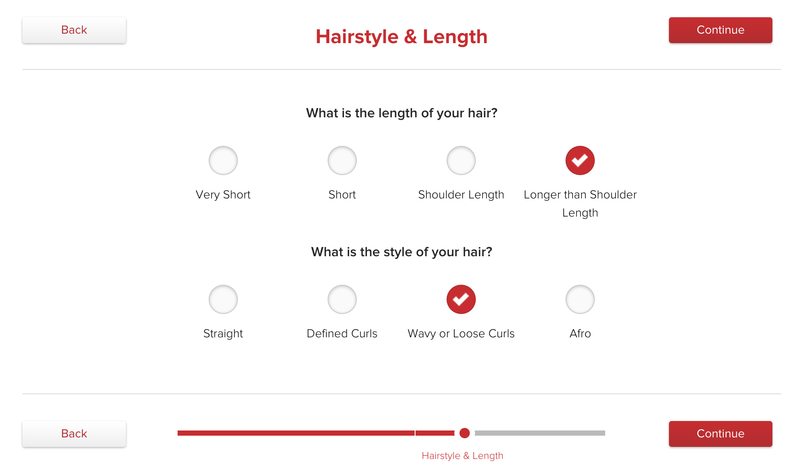 Los Angeles-based eSalon has launched a new service that will send you a box of hair products tailored to your specific hair type and concerns. Called The Match-Up, all you have to do to get started is answer a short questionnaire. In a few clicks, you’ll get three recommended products – with room for two additional products if you need a little more. For me, I have long, wavy hair with concerns about volume and dryness. The Match-Up offered up volumizing shampoo and conditioner, along with a heat protectant. If you don’t like what’s offered, you can browse through the catalog to swap anything in your box. It’s designed so that you do not get stocks of the same item if you haven’t finished last month’s shipment. Alternatively, you can change the frequency of deliveries to match how quickly you go through products. eSalon launched in 2010 with subscriptions to custom hair color dyes based on your current shade, type and the color you want to achieve. 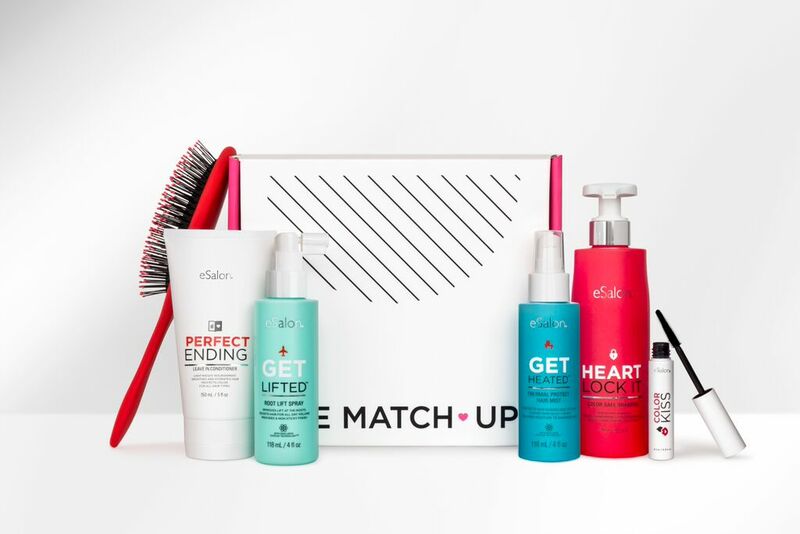 eSalon CEO Francisco Gimenez says the idea of The Match-Up is to help alleviate the cost of getting salon-quality hair product recommendations. “To get recommendations, you first have to go to a professional salon,” he tells us. It’s not only difficult to get an appointment and commute to the salon, but the process is expensive – an average haircut in New York City starts around $60. The service also offers a customer service line with licensed haircare professionals to walk users through the products in case they have questions about how to effectively use them. If you’re still unhappy with the products, eSalon promises to replace the item or refund your purchase. “You don’t get this kind of service with Amazon subscriptions,” Gimenez says. 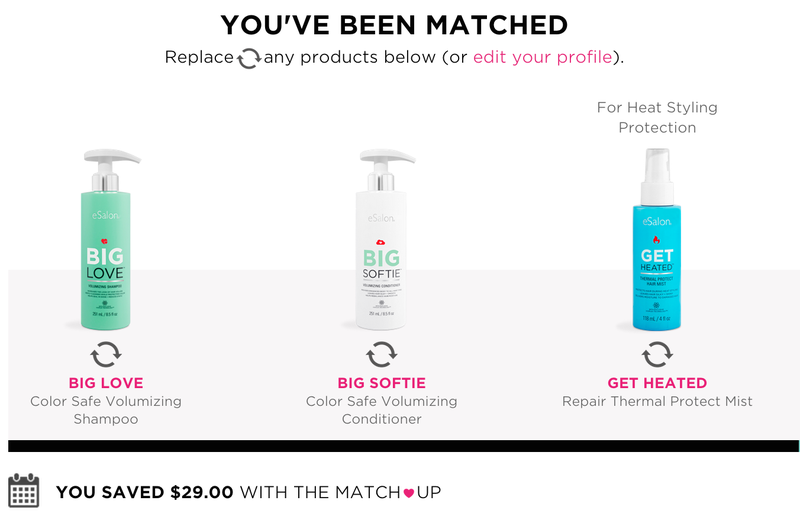 At $30 a month, The Match-Up boxes are a steal for customized haircare products. First-time customers also get a 50 percent off discount to give the service a go. For those whose hair care routine is more of an inconvenience than a day of pamper, this could be a neat way to manage your tresses without putting in that much effort.